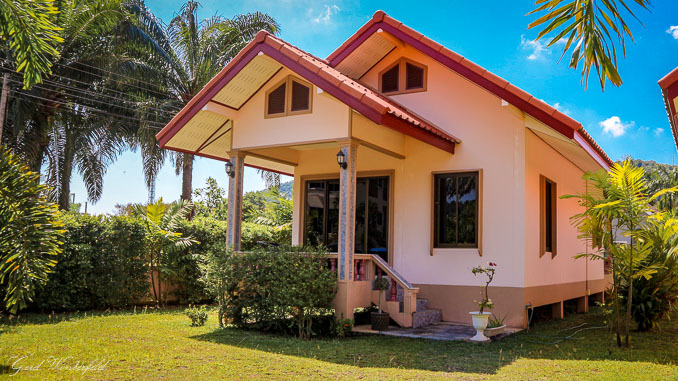 Pictures on this page show some Houses For Rent near Ao Nang Beach in Krabi, Thailand. They should show you about what is available, what to expect and what to look for. I am not going to sell or rent you anything on this page. 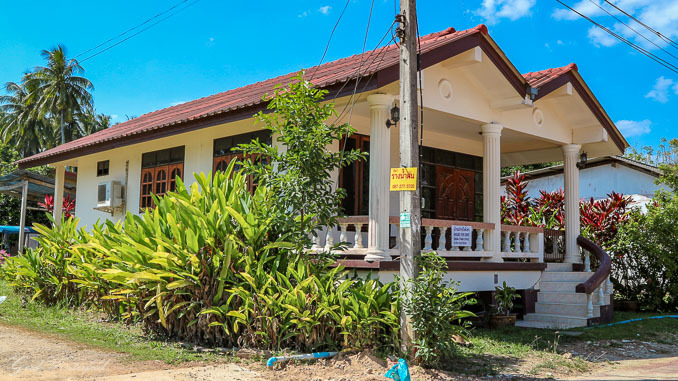 All objects are about 2 – 3 km from the beach and the tourist center. Note that this houses might not be available anymore when you read this page but there will be others, same style, same price, near by. 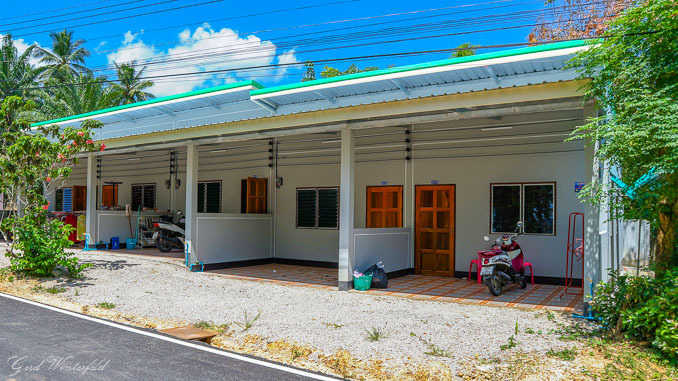 New in 2018: This is the cheapest way to live in Thailand. 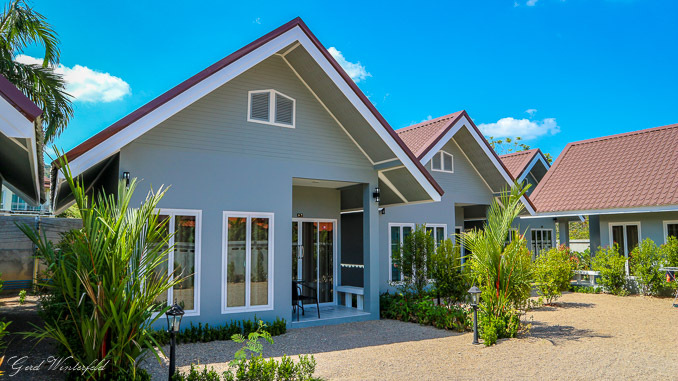 Single storey townhouses in unit style. 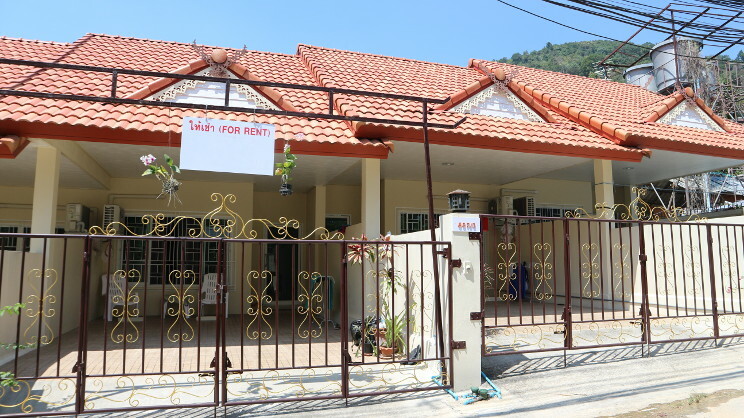 4500 Baht/month without a/c and unfurnished. But there are even cheaper ones in other places. In the neighborhood of the one above. 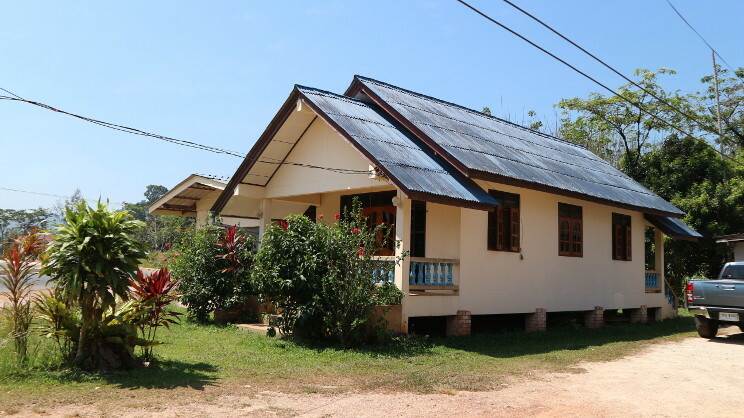 Also 9000 Baht/month but with a seperate garage. I renewed all the pictures above in February 2018. 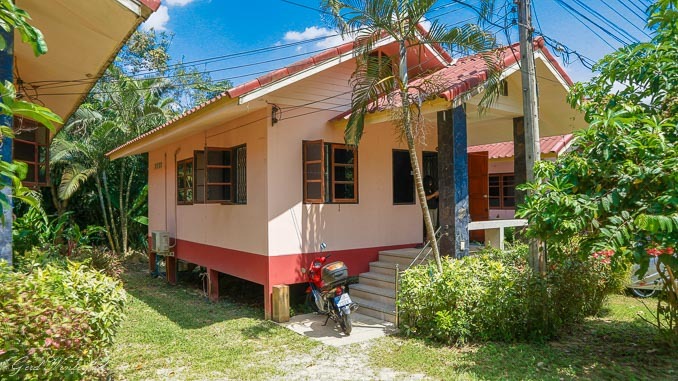 Plenty of houses for foreigners have been built in recent years so an update was overdue. 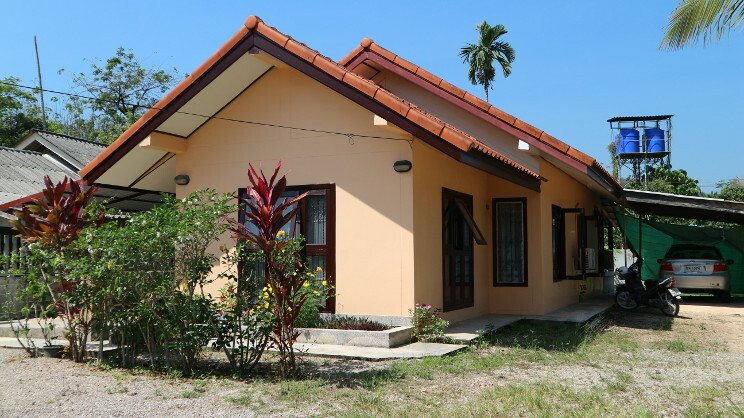 However, the prices are still the same and range between 5000 and 10.000 Baht per month. In case you want to spend more money you will find more expensive ones of course as well. 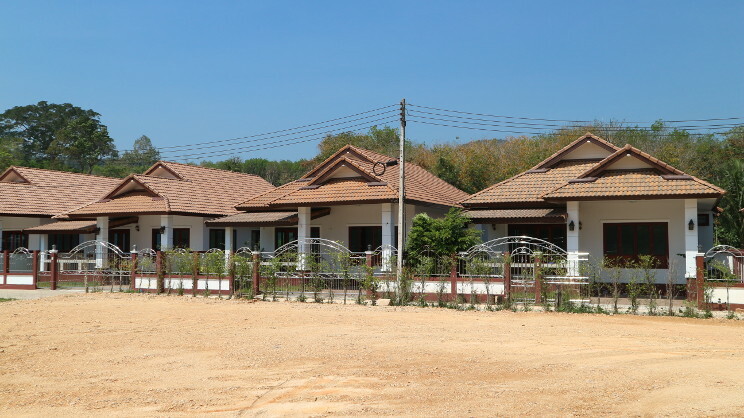 In areas like Pattaya there are bigger houses with much more comfort available at about the same price. Sometimes even with swimming pool. This is because of a large oversupply of houses and apartments in that area.